Your job doesn't define your worth. Through his photography, Mpumelelo Buthelezi reveals the essential role waste pickers play in South Africa. "Every job has value. To acknowledge that means moving past economic divides, " says Buthelezi. Your job doesn’t define your worth. Growing up, Mpumelelo Buthelezi didn’t understand people rummaging through trash. Dump sites were places for scraps and unwanted items. So why were they entering landfills empty-handed, and returning with full bags? As an adult, Buthelezi realised what they were doing and set out to capture their stories, camera in hand. “I wanted to explore what we constitute as dignified jobs,” he says. In an ongoing photo series, Buthelezi documents the lives of informal waste collectors in Soweto. “I was ignorant about these people’s jobs and what they do on a daily basis,” Buthelezi says. Rather than face unemployment, they’ve created their own market. Separating rubbish by material, they earn a sum of money for each kilogram of plastic, paper and metal. While less than half of South African households recycle, these collectors are contributing to a more sustainable environment. In the process, they’re saving the country money in landfill space. But it’s often at the risk of their health. Hazardous materials and toxic chemicals leave them vulnerable to disease. 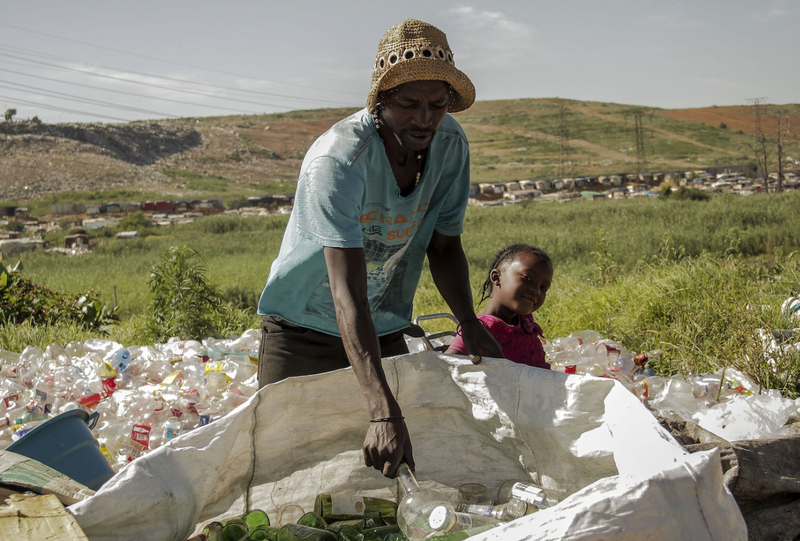 Buthelezi’s images attempt to highlight the waste collectors’ efforts and give them the recognition they deserve.